Our platform was designed to make your life easier. Membership gives you instant access to every track and version you need. We're proud to be one of the few record pools offering both audio and video downloads. You'll find new music videos uploaded daily. Our audio MP3s and video MP4s are high-quality and DJ-ready. All audio comes in standard 320 kpbs. New releases, exclusive versions, a massive selection of classics, and genres ranging from hip-hop to dance to pop and Latin. Preview a track before you download. Every track has a visual waveform to help you make smarter decisions when mixing and building your set. We're continuously uploading new audio and video releases. You'll find fresh content each time you log in. Clean, dirty, radio edit, extended, intros, outros and more. We have every version a professional DJ or producer needs. 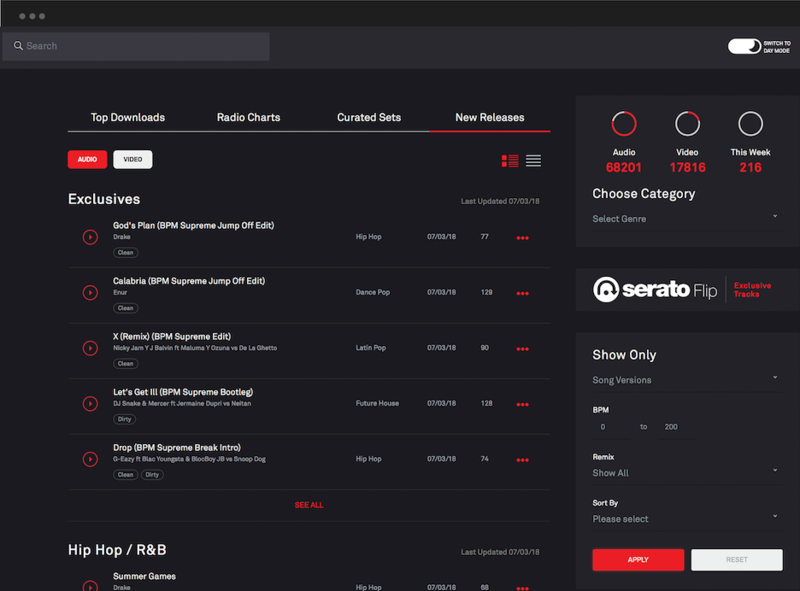 Easily add tracks to your crate while browsing and download them all at once when you're ready. Our Day and Night mode lets you change your screen from bright white to sleek black. Match the vibe of your current environment with the flip of a switch. That’s why we’ve taken every step possible to create a seamless user experience. 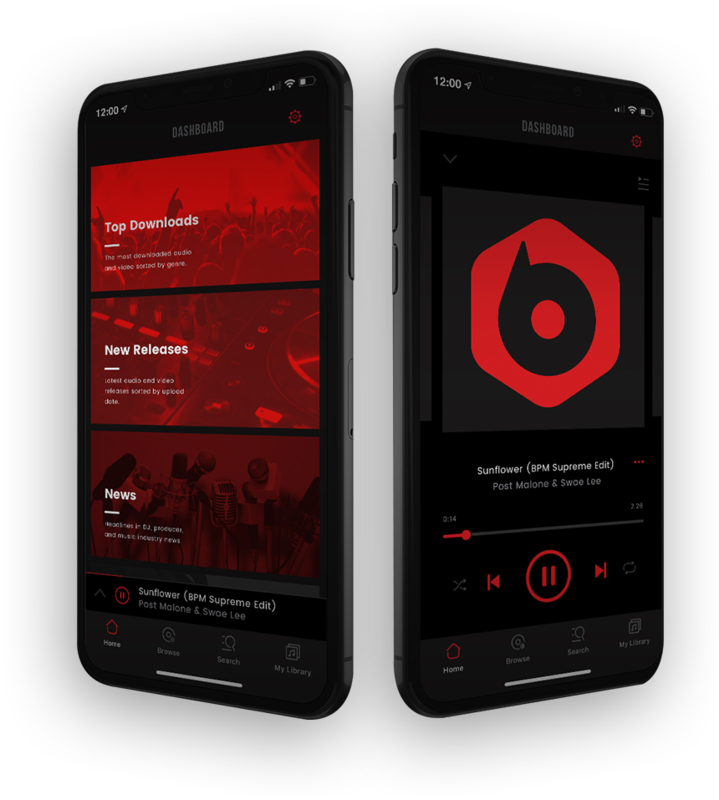 Never worry about losing your music library again. With the new Cloud Rescue feature, you can quickly access your download history stored on the cloud and re-download with a few clicks. Premium members are able to preview songs in high quality audio. Listen to the real audio quality of the song and easily work tracks into your perfect set list. Browse handpicked, curated playlists by our staff of experts. Playlists are ready to download, able to customize, and give you fresh inspiration sorted by genres and events. With new PDF invoicing, Premium members will receive an electronic invoice with complete payment history. Perfect for tax purposes and smooth business transactions.